The place to be for football enthusiasts! 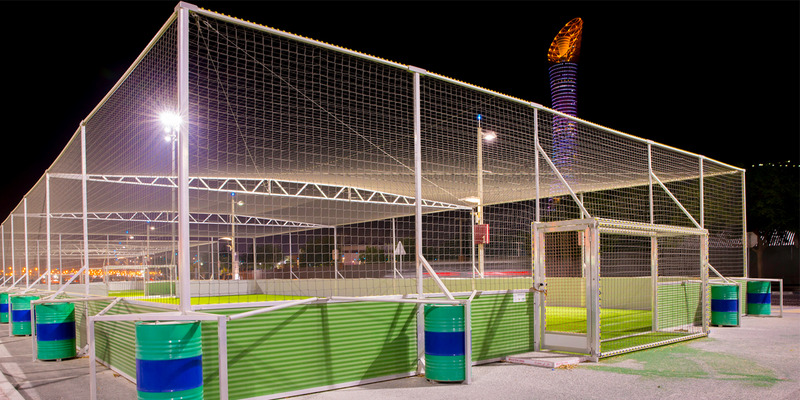 Aspire Zone Foundation and Ooredoo Qatar Launch the unique Ooredoo Temba that brings together 16 teams to compete in a riveting and enthralling tournament, each team is composed of one goalkeeper and 3 players on the field. This football tournament aims to nurture a passion for football in Qatar by offering football enthusiasts a competition that seeks to create an enduring legacy by engaging the community and providing football enthusiasts with the necessary platform and tools to compete in a professional tournament. This is the ideal opportunity for all football players who are 18 years and older to get together and compete for the title. Don’t miss out, gather your team and get ready for the big kick off! When: The tournament kicks off on March 26, 2018 until March 31, 2018.